Keeping your chickens warm during the winter is essential. Chickens aren’t known for their brains, and so it is up to you to do the thinking work so they can stick to their happy little routines. 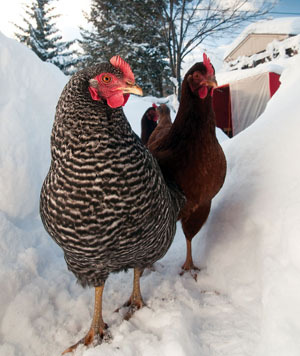 Most of the care for chickens in freezing winters involves the coop. It is your first and best defense against the cold. 1. First protect the bird itself. Even some of the most cold hardy birds will suffer frostbite on their comb and wattles if they aren’t protected. How do you protect them? One of the most common supplies ever… Vasoline. Catch your chicken and place them in a hold that gives you access to their head. 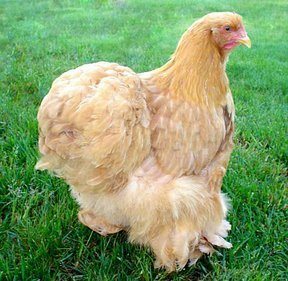 Rub petroleum jelly around the comb and wattles (flaps hanging under the chin) so that they are completely covered. That’s it. Let them go back to their normal routine. Our family found the solution to this in temperature triggered outlet timers. When the temperature in the chicken’s coop drops below 42˚, these handy little things turn on the heat lamps in the coop and keep the temperature from getting any lower. Then, they turn off when it hits a second temperature so the coop doesn’t get too hot. This way the chickens always ALWAYS have fresh water in their coop and never have to worry about waddling out and drinking snow. 3. 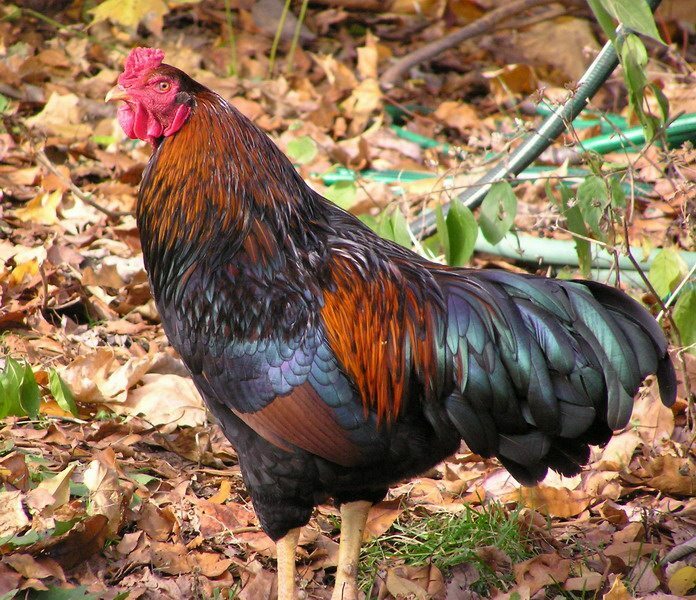 Make sure your coop is leak free! If you have leaks, it’s much easier for floors and nesting boxes to become filled with freezing water. Making sure that your coop is leak free is just a good practice anyway as damp quarters can lead to a number of health problems. Adding some insulation is an excellent way to help keep the temperature of your coop steady, but be sure that you still have ventilation. Chickens poop constantly and without ventilation it can get pretty nasty in there. They need fresh, moving air in order to stay healthy all year long. Birds that aren’t meant for cold weather, and even those that are, will probably appreciate a little extra bedding to burrow into. Wood shavings are excellent for this. Consider adding just an extra layer to the nesting boxes or their bedding down areas so they can snuggle deeper into the shavings like a person snuggling into a pile of blankets. Birds that are exceptionally delicate may also benefit from a heating pad placed under their shavings to keep them just a little bit warmer. Make sure, however that they don’t over heat.